Now you can build something that will change the way you view technology. 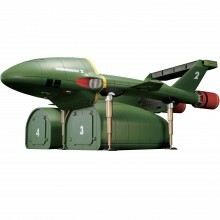 Introductory Offer: Get your FIRST MONTH of the Thunderbird 2 for only £9.99! Get 25% Off the Subscription each month with code CYBER25 ! Get 60% Off the Full Kit! Hurry, only until Monday 21st January! 3D technology is now available for you at home! 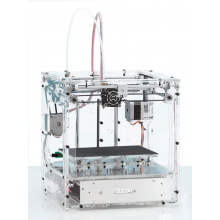 Build your own 3D printer with the idbox! and turn an idea in your head or on paper into an object you can hold in your hand! The idbox! 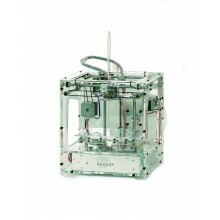 is a lightweight, compact and stylish machine that is easy to work with, and has a fast modelling speed. Look forward to making your first dynamic three-dimensional works. Dimensions: 250 × 250 × 275 mm | Weight 5kg. Plus, get 2 FREE gifts now! The idbox! is a lightweight, compact and stylish machine that is easy to work with, and has a fast modelling speed. Look forward to making your first dynamic three-dimensional works. With the full kit you will receive all build phases in one go with easy-to-follow build instructions in colour magazines. NEW: Full kit available NOW! 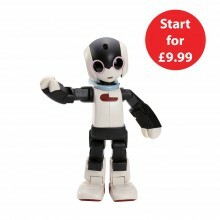 Get this great value bundle pack and make Robi speak English! 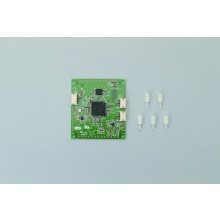 Included in this pack are an English Voice Recognition Board and a Micro SD Card. 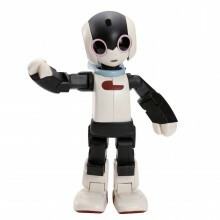 The VR board is the electronic component that operates Robi’s sophisticated voice-recognition capabilities, allowing him to understand human speech and formulate his own spoken response in English. 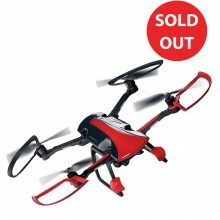 BUILD & FLY THE SKY RIDER DRONE. Get a new point of view on the world! With this innovative new series, you will be able to construct and fly a remarkable aircraft – your own personal quadcopter that can be used to take incredible pictures and make movies with a HD 720p camera built-in, or you can just fly it for fun and practice your piloting skills! CHOOSE ONE OF OUR TWO OPTIONS AND GET YOUR FIRST MONTH AT HALF PRICE! Get a new point of view on the world! With this innovative new series, you will be able to construct and fly a remarkable aircraft – your own personal quadcopter that can be used to take incredible pictures and make movies with a HD 720p camera built-in, or you can just fly it for fun and practise your piloting skills! All Full Kits are provided with CD instructions only.